We couldn’t agree more, except to add that the foothills is an up-and-coming restaurant destination in its own right and also attracting new investments. It also benefits from a bounty of local farms, and its laid-back life- style is attracting new culinary talent. Local ingredients — from fields of fresh vegetables, and stone-fruit and citrus orchards in Placer and Nevada counties — regularly make their way onto our restaurant’s menus. 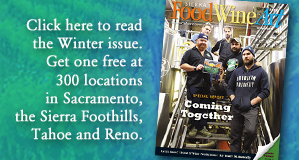 Wine comes from our local vineyards — Sierra Vintners or the Placer Wine Trail—and more craft beer is being brewed with local hops. Local chefs are regulars at our region’s farmers markets. Some of them, such as executive chef Eric Alexander and pastry chef Courtney McDonald of Carpe Vino in Auburn, also own their own farm. 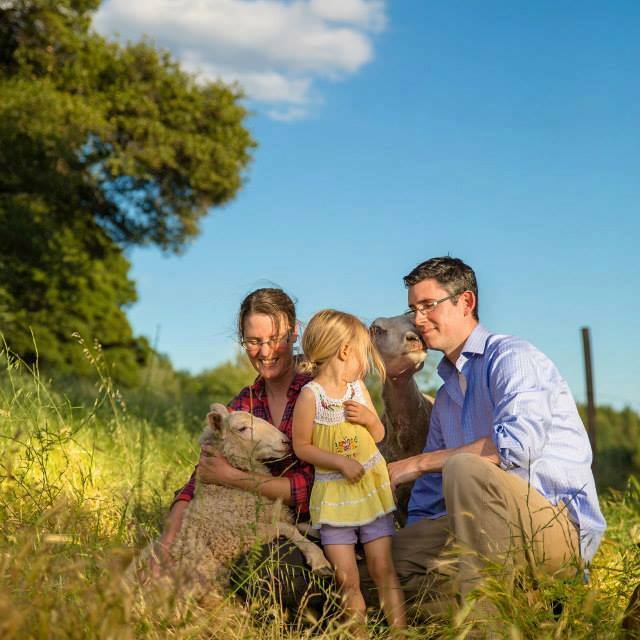 “We enjoy sharing the abundance of delicious, locally sourced produce Placer County has to offer in our recipes,” says Courtney, referring to the couple’s Four Tines Farm. All this has led to a growing and vibrant restaurant scene. In Penn Valley, a new restaurant called Twelve 28 Kitchen is winning praise from locals and visitors. Its chef, Zach Sterner, is a Napa Valley transplant: He was a sous-chef at the Michelin-starred Solbar at Solage in Calistoga. The restaurant features a seasonal menu. Chef Zach sources food from local farms, including lamb from James Ranch (joining others who include Alice Waters of Chez Panisse in Berkeley). The restaurant also features local craft beer and wine. Twelve 28 Kitchen is a small, family owned and run business. Zach’s mom, dad and siblings all help out. Menu items might include a fresh strawberry salad, pan-roasted salmon, or braised beef short ribs. Young restaurateurs Nate Overstreet and Ashly Amador are renovating the interior, including the kitchen, of what had been The Owl Grill & Saloon at 134 Mill St. in the historic downtown. They plan to keep the open kitchen and add a chef’s table. Watershed will have a Victorian theme, with some historic decor retrieved from the “new” National Hotel. Watershed will serve new American cuisine. Like Twelve 28 Kitchen, the food will be “elevated but approachable.” At a recent local’s dinner party, Nate and Ashley’s meal received rave reviews. The two will be featured chefs at the popular Nevada City supper club Polly’s Palador in June. (For more about Polly’s Palador, see our website, SierraCulture.com). The region’s new cuisine isn’t limited to fine dining. Pine Street Burgers at 1249 E. Main Street in Grass Valley serves one of the best burgers in town.Owners George and Suzie Dyer are planning to open a second location across from the Pine Creek Shopping Center in Grass Valley. “The menu and general look of the restaurant will be identical to the existing location,” says Suzie. ■ The two left handed chefs and co- owners of Lefty’s Grill — Chris Duncan and John Cammack — will open Lefty’s Fry House, a casual eatery next to Sierra Cinemas in Grass Valley. The menu will feature Lefty’s signature fish and chips, sandwiches on naan bread, fresh salads, garlic fries and more. It will feature beer from ol’ Republic Brewery. ■ Ol’ Republic Roadhouse will serve lunch and dinner along with its award- winning beer at what had been the Old Five Mile House on Hwy. 20 near Nevada City. The restaurant will keep the full bar and add a bakery. Ol’ Republic also plans to open a tap room in the Rancho Cordova Barrel District this spring, according to co-owners Jim Harte and Simon Olney. ■ Wild Eye Pub is a vibrant, multi-use venue, anchored by a local-foods eatery, full-service pub, large shared kitchen, and a tech-rich event space and roomy stage. It is in downtown Grass Valley in a renovated building that used to be home to the Swiss House.